What triggered the experiment was coming across these stone bowls at a kitchen supply store while I was shopping for some other stuff. At PHP340 or so ($7) they seemed like a reasonable buy, and I got two of them. Back at home, they were washed thoroughly, placed in a cold oven and the oven turned on and placed on medium high heat where I left the bowls for say 45 minutes or so. The oven was turned off, and the bowls left in there overnight. I am not sure if this “curing” or “seasoning” step in necessary, but I did it anyway. 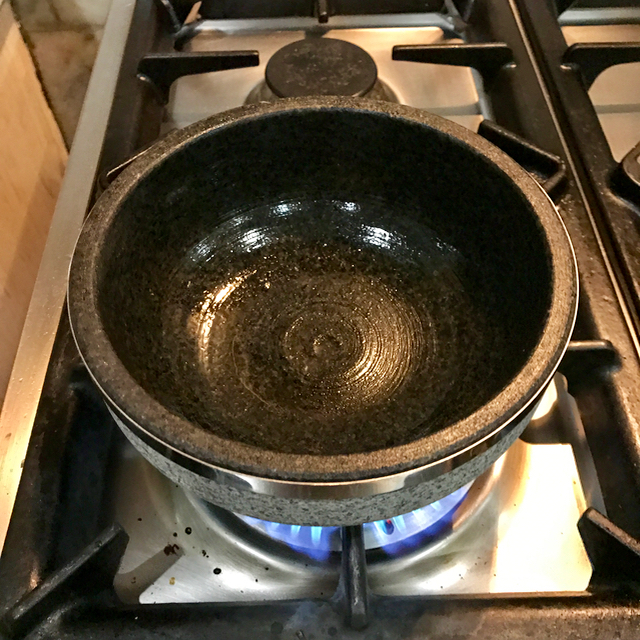 The next day, I coated the inside of the bowl with sesame oil, put it directly on a gas flame and heated it up for several minutes until hot. 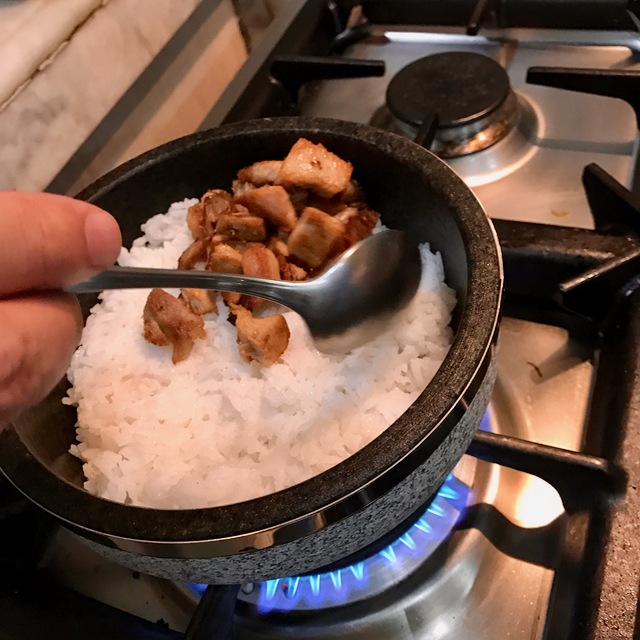 Into the hot stone bowl went rice (say 1.5 cups worth) and it sizzled just a tad, so I realized I had to keep heating the bowl further. …beansprouts and a raw egg. I prepared a sauce with gochujang, a chili paste with some honey and water, sesame oil and sesame seeds and also a side dish of kimchi. 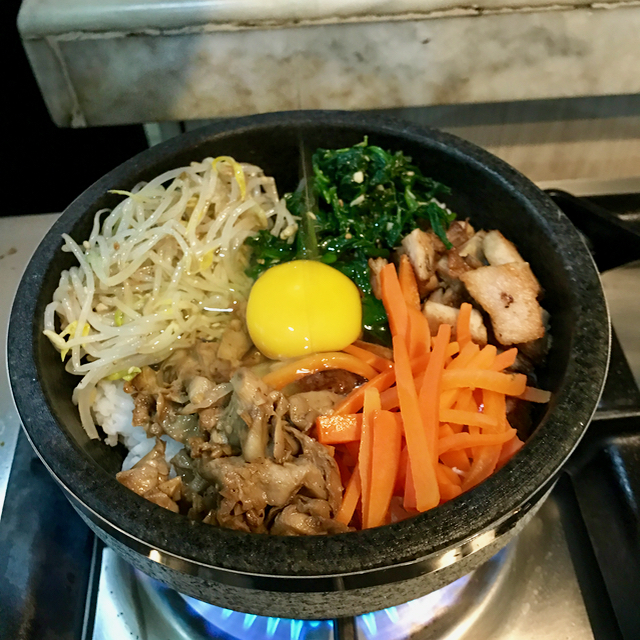 This was the first mix… until I realized I needed a lot more gochujang sauce added in. For a first try, it was a huge hit! A little on the spicy side (I was sweating by the time I was halfway through the bowl), I doubled that up with copious amounts of kimchi and more of the side dishes as well. 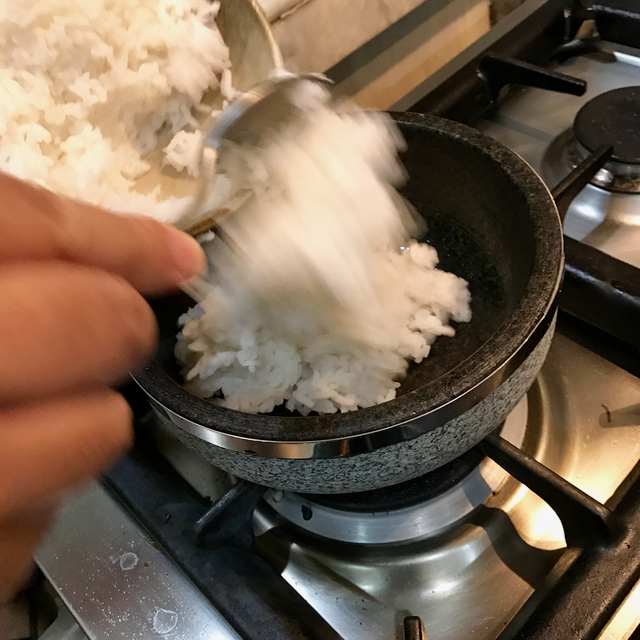 It was SO SO EASY to do, and will definitely be experimenting more with these stone bowls, perhaps even attempting Filipino “stone bowl” meals! Thumbs up! Will this be on the Zubuchon menu? Lechon would be a good filling for burritos, quesadillas and tacos. 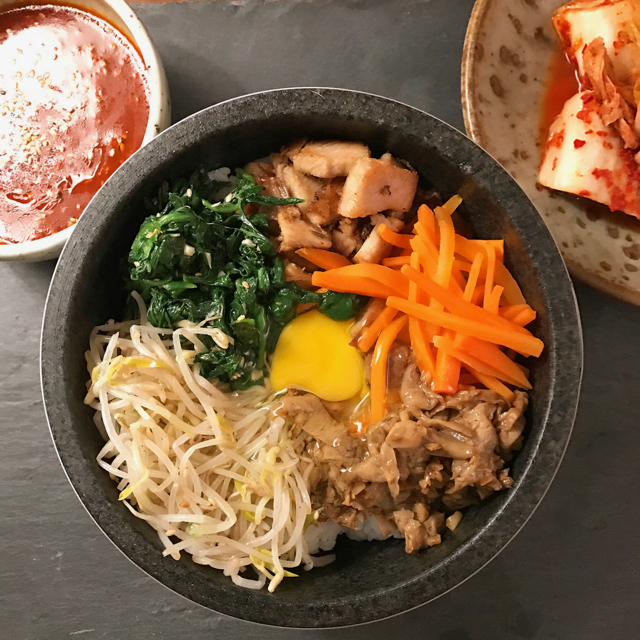 Bibimbap is one of our best-sellers in our little food delivery biz. I will be anticipating it sa Zubuchon, ha! 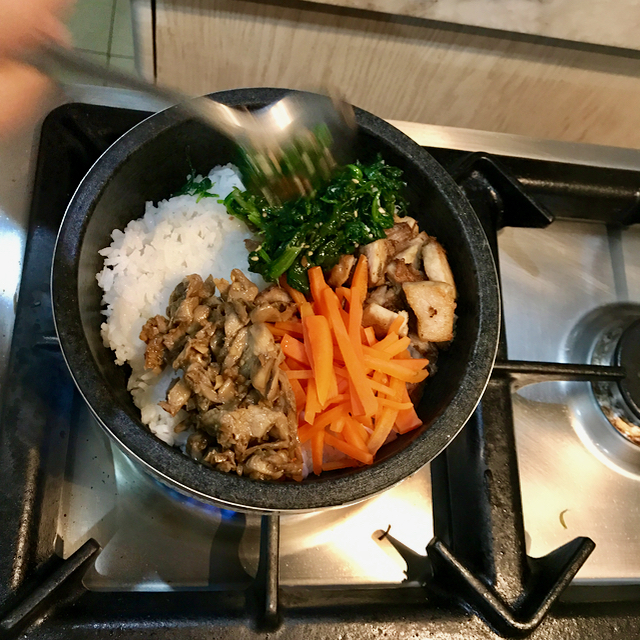 Been wanting to try bibimbap for ages, what kitchen supply store did you buy them from MM?